Achieve visibly enhanced skin with the Hyaluronic Booster Plus+ Intensive Moisture Serum from botanical skincare brand Elemental Herbology. 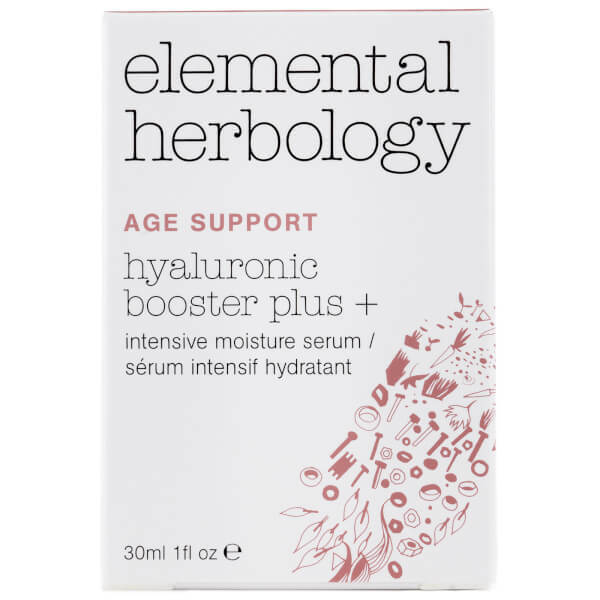 Expertly formulated with therapeutic levels of plant compounds, herbal extracts and essential oils, the anti-aging treatment works to combat moisture loss and minimise the appearance of fine lines. It features an intensive Moisture Replenishment Complex containing Sodium Hyaluronate and Apple Extract, which aims to enhance skin’s tone and add a concentrated burst of hydration with long-lasting effect, whilst Olive Squalane stimulates cell renewal to refine and plump texture. 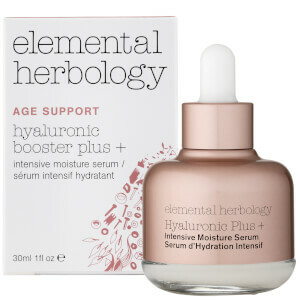 Suitable for dry and mature skin types, expect a softened, smoothed and more youthful-looking complexion. Squeeze the pippette a few times to load the product into the dropper. Apply 4 drops morning and night to thoroughly cleansed skin, before your daytime moisturiser or night cream. Aqua, Glycerin, Squalane, Sodium Hyaluronate, Phenoxyethanol, Lysolecithin, Sclerotium Gum, Chlorella Vulgaris/Lupinus Albus Protein Ferment, Pyrus Malus Extract, Pullulan, Xanthan Gum, Benzoic Acid, Dehydroacetic Acid, Pectin, Pelargonium Graveolens Flower Oil, Citronellol, Ethylhexylglycerin, Geraniol, Linalool, Citral, Limonene.